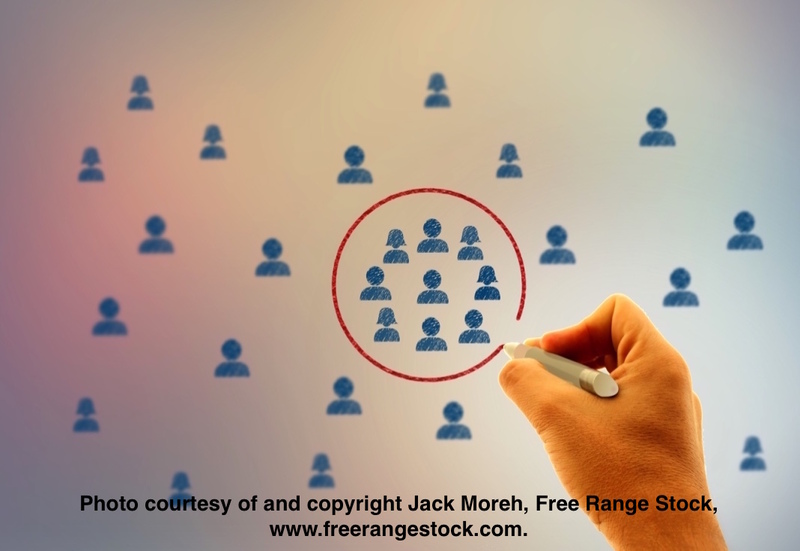 This is the 4th installment of Assess for Success: Part 4 – Customer Segmentation. This process follows SWOT Analysis; Feature, Benefit, & Value Mapping; and Competitive Analysis. All of these processes, as well as those yet to come are designed to help owners and their teams identify and update outdated or mistaken beliefs and assumptions about their businesses, and enable them to accurately and thoroughly define, describe, and explain the current state of business. This is the critically important first step in effective strategy and plan development. Detailed analysis and segmenting your customers is very worthwhile process. It can help you prioritize where to invest your marketing and sales investment and effort. It can help you tailor your marketing and sales to specific customer segments that may have varied wants, needs, and values. And last but not least, they can provide insightful direction on how to improve or increase value creation, delivery, and capture. Step one should be ensuring you and your employees have a thorough and accurate understanding of your business’ features, customer benefits, and how much each customer values each benefit. If you haven’t already done it, see the second Assess for Success installment, Feature, Benefit, & Value Mapping to provide the insight needed to fuel this process. Step two is detailed analysis of your customers. “Who are my customers?” Companies or businesses are not your customers, people are. What are their titles and roles? What types of businesses do they work for? Who are their customers? Who are your client stakeholders, those that have an interest in the outcome of your engagement or transaction? Decision-makers? Influencers? Participants? What characteristics and qualities describe your customers? The following list may help you get started. What are your customers’ ROI rationale or success criteria buying from you? How does buying your business’ offer make your customers more successful? What is your customers’ strategic objective and how do you contribute to their achieving it? How does your value proposition and offer help your customers deliver on their value proposition? How do your offer and its benefit specifically contribute to your customer’s successful? What quantitative results or impact does your business’ offer have on their business? What qualitative results or impact does your business offer have on their business? What are the individual decision-makers and primary point-of-contact’s ROI and success criteria? What features of your business are beneficial to your customers? Having completed this process, you may now more thoroughly, specifically, and accurately know your customers by relevant details, qualities, or characteristics. With this insight, you can truly determine who your customers are, and prioritize them by the quality and quantity of your business’ value creation and delivery. One of the great benefits of this process is it provides context and codified terminology and language for you and your team, enabling their common understanding of your business and your customers. And that can result in you and your team being more unified, aligned, focused, committed, and productive. There are many customer segmentation processes and criteria. 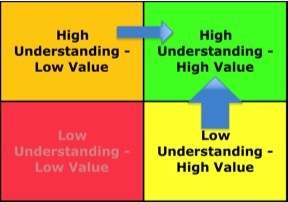 I have found using “High Understanding” (HU) and “High Value” (HV) as segmentation criteria very effective. Participants and stakeholders can quickly learn it, and confidently execute it. It provides codified language and terminology, making it easy for you and your employees to execute and extract insight to improve marketing, selling, and as an added bonus, development, delivery, and customer service and support. The term “High Understanding” (HU) means customers fully and accurately understand your offer, the specific features and their benefits, and how much they value those benefits. Ideally, they realize the value you create and deliver is difficult if not impossible to replace or go without. HU customers understanding and the value you create and delivery indicates your marketing, sales, and performance has been effective in setting, meeting, and exceeding customer expectations. “Low Understanding” (LU) customers have not learned, discovered, or experienced your offer, and have little to no understanding or value your offer. “High Value” (HV) customers are in a financial position to afford your price because their return on that expense (investment) is exceptionally positive and compelling. “Low Value” (LV) customers are not in a financial position and cannot generate the ROI or enough benefit for the cost to be able to afford the price of your offer’s value. Even if they understand, appreciate, and desire the value you deliver, if they cannot afford it or if their ROI or cost-benefit isn’t sufficient, it is highly unlikely they can become HV customers. HU/HV customers drive successful business. You can be confident marketing, selling, and thrilling these customers will provide exceptional, unique mutual benefit and value. LU/HV customers have the financial position, budgets, and ROI to make paying your price affordable, but have demonstrated they don’t realize and appreciate your business’ unique, exceptional value. They likely commoditize your offer and categorize it with lesser value options. LU/HV’s have good potential to become HU/HV customers. Marketing and sales needs to enable them to experience and discover your offer’s unique, exceptional value. If they achieve that, LU/HV customers can become loyal HU/HV customers. HU/LV, customers realize and appreciate your offer’s value, but aren’t in a financial position to afford your price or generate enough ROI to make buying from you affordable. Unlike LU/HV customers who you can migrate to HU/HV customers by effective marketing, it is much more difficult or unlikely to be able to migrate or evolve HU/LV customers, as it is very unlikely your marketing and selling is going to change their financial position. It’s easier to change minds than financial positions.” Investing in pursuing HU/LV, customers is unlikely to be worthwhile and will likely divert from pursuing potential HU/HV or even LU/HV, customers/customers. LU/LV hold little to no chance of evolving to become HU/HV and are not worth investing in. After executing these two processes, how does your customer database segment? Is it what you thought? How does it affect your thinking about existing customer marketing, sales, delivery, support, and service? How does it effect their prioritized position with your business? And applied to your database, how many have a different prioritized importance and projected value? As with the other Assess for Success posts, this is not intended to be the be all and end all on customer segmentation. It is designed to inform, stimulate thinking, and inspire action and results that can substantially improve your business’ performance and financial results. I am excited about the results you will get from all of the Assess for Success processes I have shared, but none more than this one. Please contact me with any questions or other feedback about this article. And of course, I am eager and willing to connect with you and explore if and how I can help you, your team, and your business with this process or in any other way that will help you improve performance to improve results and realize your success.